Hey guys! I hope you are ready for today’s dose of interesting NarutoVerse theory. In this post, I’m going to talk Kashin Koji’s father in Boruto. There have been absolutely tons of theories about Kashin Koji’s identity but not many about his parents. I have come up with an interesting theory on this subject and I’m eager to share it with you guys. So, without further delay let us begin. Kashin Koji is the most shown member of Kara organisation in the manga. Kashin Koji seems to be pretty powerful. He is an exceptional user of the fire release techniques. He can use the Samadhi Truth Flames which are similar to the flames of Amaterasu in a way as they too cannot be extinguished. 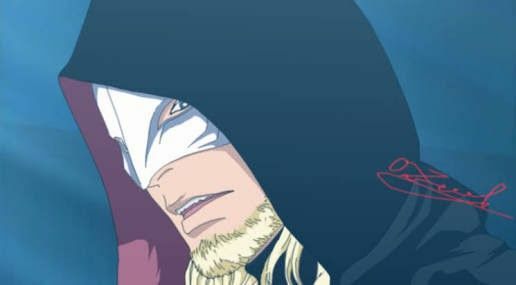 Kashin Koji does resemble both the fourth Hokage of Konohagakure and one of the legendary Sannin of Konohagakure, Jiraiya in the techniques that he uses.